Ever since the time of Victor Hugo, submarines and under water navigation has been the ultimate dream of all seafarers since time immemorial. But it was not until the beginning of the twentieth century that inventors succeeded in developing practical submarines that could stay underwater for reasonably long period to be considered effective as a war fighting vessel. With the onset of World War I, nations saw the deadly effectiveness of these underwater vessels, as German U-boats threatened to starve Britain and ultimately forced the United States into war, thus highlighting the significance of submarine operations as a doctrine for winning wars at sea. A generation later, in World War II, the German U-boats came back to create havoc by launching numerous attacks on the Allied Fleets in the Atlantic, while in the Pacific, US submarines literally put Japanese fleet out of business. Presently, in the nuclear age, the nuclear submarine became the most powerful weapon of war ever created – to serve as the deterrent force that, paradoxically, alone can maintain and sustain peace in the region. Navies across the globe have acknowledged this steel monster as the most lethal and strategic platform in naval warfare. On the one hand, the curtailment of defence funds globally has led to the reduction of number of vessels on order and on the other hand, the quest for improvements in performance, stealth and strike capability, has driven the demand for newer technologies to be developed and adopted on board submarines to stay ahead in the race for supremacy in the deep oceans. 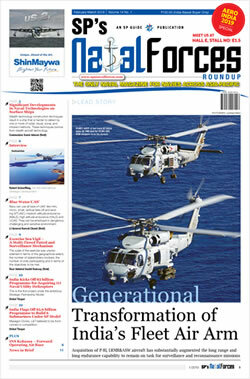 Succeeding paragraphs contain the narratives of some of the new technologies being developed across the globe which would change the exploitation pattern and operational cycle of submarines of the future. Mixed Reality — Submarine Design. The contemporary submarine designers use virtual reality that enables the designer to have a virtual walk-through of the submarine in an immersive environment and make design, layout, maintainability and accessibility improvements as required. The users can also have a touch and feel of the submarine and give recommendations from operations and exploitation view point even before the steel is cut. The requirements of degutting-re-gutting of the submarine during exploitation can also be catered at the design stage itself. In future, one can expect the Virtual Reality immersive environment getting blended with the Real World through HoloLens (Microsoft) creating a mixed reality experience for submarine designers. This would change the concept of submarine design in future. ‘Life-of-Ship’ Reactor Core. The US Navy is accelerating the development and construction of its new Columbia class SSBNs to attain the goal of engineering the most lethal, high-tech and advanced SSBN the world has ever seen. These submarines will enter service by 2031 and serve well into the 2080s and beyond. The new submarines are being designed for 42 years of service life thus engineering a reactor core that would last for the ‘life-of-ship’, thus ruling out requirement of mid-life refuelling. This would enable US Navy to build just 12 SSBNs and still be able to have the same sea presence/ops-availability as the current fleet of 14 ballistic missile Ohio class submarines thereby bringing in saving of $40 billion in acquisition and lifecycle cost for the programme. Underwater Detection Capabilities. New detection techniques are emerging that do not rely on the noise a submarine makes and may make traditional manned submarine operations far more risky in the future. These include increased use of lower frequency active sonar and nonacoustic methods of detecting submarine wakes at short ranges. In particular is the technique of bouncing laser light or light-emitting-diodes off a submarine hull to detect its presence. The physics behind most of these alternative techniques has been known for decades, but was not exploited because computer processors were not fast enough to run the detailed models needed to see small changes in the environment caused by a quiet submarine. Today, ‘big data analytics & processing’ enables advanced navies to run sophisticated oceanographic models in real time to exploit these detection techniques. Long Life Large Aperture Bow Array Sonar. Columbia class submarines are being designed with a series of next-generation technologies, many of them from the Virginia class attack submarine. Leveraging existing systems allows the Columbia-Class programme to integrate the most current technologies and systems while, at the same time, saving the cost of beginning a new developmental effort. The Columbia class will utilise Virginia class’s fly-by-wire joystick control system and large-aperture bow array sonar. A computer built-into the ship’s control system uses algorithms to maintain course and depth by sending a signal to the rudder and the stern. The large aperture bow array is water backed with no dome and very small hydrophones that are able to last for the life of the ship; the new submarines do not have an air-backed array, preventing the need to replace transducers every 10 years. Stealth, Sensors and “Acoustic Superiority”. 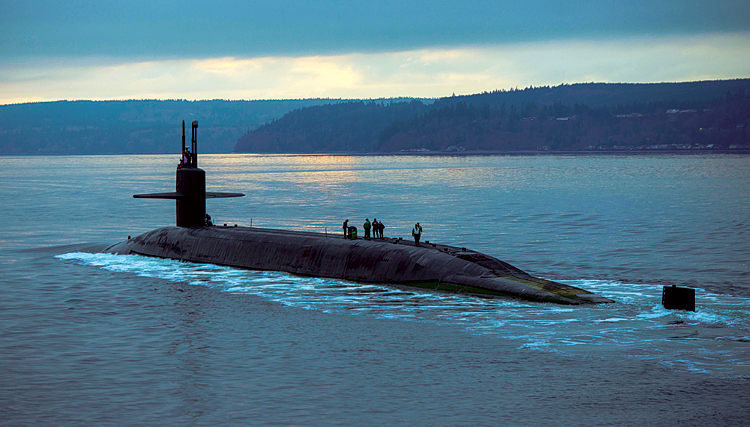 The naval R&D is making progress in developing new acoustics, sensors and quieting technologies to ensure the US retains its technological edge in the undersea domain. The innovations include quieting technologies for the engine room to make the submarine harder to detect, by using a new large vertical array and additional coating materials for the hull to attain what US Navy calls “Acoustic Superiority”. The idea with “acoustic superiority,” is therefore to engineer a circumstance wherein US submarines can operate undetected in or near enemy waters or coastline, conduct reconnaissance or attack missions and sense any movement or enemy activities at farther ranges than adversaries can. The acoustic superiority programme is focussed on the sensor side whereby they are on the cusp of a fourth generation of undersea technology based upon a “domain” perspective as opposed to a platform approach – looking at and assessing advancements in the electro-magnetic and acoustic underwater technologies to minimise platform’s own signature – while having a better ability to detect an adversary signature. The “acoustic superiority” effort is immersed in performing tactical assessments as well as due diligence from an academic standpoint to make sure the service looks at all the threat vectors – hydrodynamics, acoustics or lasers. VLF Communication. The emerging technologies, however, are heavily focused upon sensitive, passive acoustic sensors, which are able to detect movement and objects of potential adversary boats and ships at much further ranges and with a higher-degree of fidelity. Submarines are able to use a very low frequency (VLF) radio to communicate while at various depths beneath the surface. Indian Navy has already commissioned its own VLF transmission station at INS Kattaboman in collaboration with L&T thereby also creating nuclear electro-magnetic pulse (NEMP) proof control station, the first in India. Futuristic Hoistables. The Columbia class will also use next-generation communications system, antenna and mast. The present day periscope is now replaced with a camera mast connected to fibre-optic cable, enabling crew members in the submarine to see images without needing to stand beneath the periscope. This allows designers to move command and control areas to larger parts of the ship and still have access to images from the camera mast. Maintenance Free Shafts. The shafts of the new submarines are being built to last up to 10 or 12 years in order to synchronise with the ships maintenance schedule. Existing shafts need inspection and refurbishment every six to eight years. Silent Propulsion System. While the US is taking giant strides, the other emerging super power - China is not lagging behind. China’s new submarine engine is poised to revolutionise underwater warfare. China’s new nuclear submarines will soon use a ‘shaft-less’ rim-driven pump-jet, a revolutionary and silent propulsion system. A rimdriven pump-jet has a ring-shaped electrical motor inside the pump jet shroud, which turns the vane rotor (a vane rotor has the fan blades attached to a rotating band built on a cylindrical interior, as opposed to a propeller shaft) inside the pump jet cavity to create thrust. The submarine pumpjets so far are ‘shrouded propellers’, which consist of a tubular nozzle covering the propeller. By removing the shaft of the propeller, the reduction in the number of moving parts decreases the noise made by the pump-jet, as well as saving hull space. The original equipment manufacturers (OEMs) also claim that rim driven pump jets are easier to maintain and have less cavitation making them even quieter. Integrated Electrical Propulsion System. The latest Chinese submarines are being designed with integrated electrical propulsion system (IEPS). The Chinese variant is the world’s first IEPS to run on a mediumvoltage, direct-current system. IEPS turns all the output of the ship’s engine into electricity, unlike traditional propulsion designs, which convert engine and reactor output into mechanical action to turn the propeller shaft. The high electrical output can be used to power motors for the propellers or potentially high-energy weapons. Additionally, IEPS has far fewer moving parts, making them quieter and thus ideal for use onboard submarines. The rim-driven pump-jet and IEPS can drastically reduce the acoustic signature of any SSN. This combination, if it works, would be a significant gain for China’s naval power and Chinese may have stolen a march on the Americans and British, whose Columbia and Dreadnought SSBN have the option for rim-drive pump-jets, but will not enter service until 2030. While the system would be on China’s attack submarine, Chinese SSBNs could also use the rimdrive pump-jet to enhance their stealth and survivability and by extension, the credibility of China’s second strike nuclear capability. These new submarine propulsion systems may not just power China’s submarines of the future, but give Beijing a true superpower’s underwater armada status. Air Independent Propulsion. Amongst the various type of air independent propulsion (AIP) systems in use on-board conventional submarines, the fuel cell (FC) based System is the most sought after and is also the preferred option for Indian MoD’s Project P75(I). While all FC AIP have Liquid Oxygen being stored in cryogenic state, different countries have followed different means of generating/storing Hydrogen: Germans use metal hydrides and are now moving towards methanol reformer, Russian use diesel reformer technology. Indian DRDO programme is based on using Sodium–Borohydride. The development is in advanced stage and the AIP System is expected to be available for P75(I) programme. The other emerging option for the AIP for submarines is based on Lithium Ion high power batteries. This technology has already been put to sea by the Japanese for their Soryu Class submarines. Russian also claim to have achieved a breakthrough in developing Lithium Ion batteries for submarine applications. The pace of submarine technological development globally, have made even the Moore’s Law (the number of transistors per square inch on integrated circuits would double in the computer in approximately two years) redundant. The race for Indian Ocean Under-water Supremacy is on amongst the technology leaders in US, Europe and China. While India has the most ambitious submarine building programmes anywhere in the world today, the delay in decision making and the lack of a focused approach at the MoD, has led to IN being forced to manage with a depleted submarine force level. On the other hand, China is determined to implement its ‘String of Pearls’ theory for the Indian Ocean Region (IOR). Besides creating artificial island in the South China Sea against the opposition from Global leaders as well as the littoral nations, it has also started active patrolling of the IOR using its SSBN and SSNs and even seeking berthing rights at Pakistan, Sri Lanka and Myanmar. 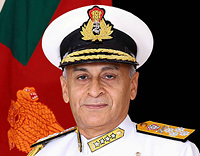 In the back drop of these developments, it is imperative for Indian Navy to keep abreast with the latest developments in the field of submarine technologies to be able to retain that critical technological edge which can make the crucial distinction between the victor and the vanquished, as there is no runner-up in a war. It would be good for the decision makers to be conscious of the latest emerging technology trends and incorporate these requirements in the RFPs for procurement of future submarine programmes.